A 95-member back-up team from China's seventh riot squad for the United Nations (UN) peacekeeping mission left Urumqi, capital of northwest China's Xinjiang Uygur Autonomous Region, for Haiti on Wednesday. They will perform an eight-month peacekeeping mission in the Caribbean nation together with a 30-member advance group that left Beijing for Haiti on Monday. 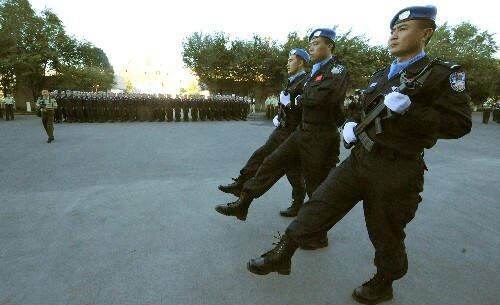 With an average age of 30, the 125 police, including five women, passed tough exams in English, shooting, driving and stamina, according to Liu Yaohua, chief of the regional security bureau. The squad, mostly border-control police in Xinjiang, will replace the sixth peacekeeping squad that has been in Haiti since December. China has participated in UN peacekeeping missions in Haiti since 2004.